The Colorado State Forest Service is excited to announce the formation of this network, represented by biomass utilization representatives appointed by the state forester of each western state. 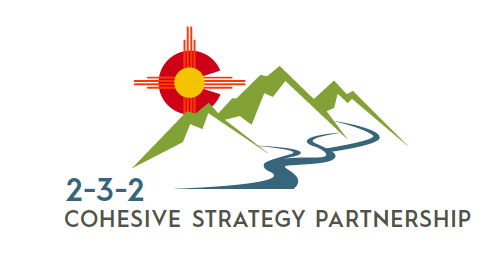 Representatives from the 2-3-2 include two representatives, Tim Reader (Colorado) and Carmen Austin (New Mexico) to this newly established Network. The goal of the new effort is to increase interstate cooperation, coordination, communication, and resource sharing among western biomass utilization programs and projects. After a small planning meeting last October in Denver, the Network got off to a great start in Park City, Utah where 13 states, including Hawaii, were represented and provided updates on their respective efforts, as well as solutions to the common challenges we all face in the biomass utilization arena. The initial conversations have already yielded two principal outcomes: (1) scale is being recognized and addressed across the west with several technologies that represent realistic investment opportunities for current or new biomass using facilities, and (2) there is increased private sector participation in public sector programs resulting in more innovative and economically sustainable solutions to our biomass utilization challenges that we are all seeking. Stay tuned for additional efforts and successes as the work of the Network proceeds. Contact Tim Reader, tim.reader@colostate.edu with your questions. The Pagosa Ranger District would appreciate your input on the proposed Blanco Basin Vegetation Management Project located southeast of Pagosa Springs, Colorado. The purpose of the project is to use targeted forest thinning and shrub mastication treatments to reduce forest health threats and hazardous fuels in and adjacent to private properties in the middle and upper Blanco Basin landscape. The overall goal of treatments is to provide a fuel break that will 1) help with managing natural ignitions which occur between National Forest System Roads and the South San Juan Wilderness and 2) serve as containment lines for a planned prescribed fire the south and west of those roads. The overall effect of thinning and mowing treatments and associated facilitated fire management will be to increase to overall resiliency of forest vegetation to disturbances such as drought, insect and disease and high-severity wildfire. The full document was emailed to the 2-3-2 group. To request a copy or if you have questions, don’t hesitate to contact Matt Tuten or Fred Ellis. Please provide feedback ASAP. 10:20 to 10:30 What is the 2-3-2? Copyright © 2018 Mountain Studies Institute, All rights reserved. You are receiving this email because you are a member of the Two Watersheds, Three Rivers, Two States Cohesive Strategy Partnership.